In 2010, moth collector James Vargo began finding numerous specimens of a hitherto unknown pygmy moth in his light traps on his property in Indiana, USA. 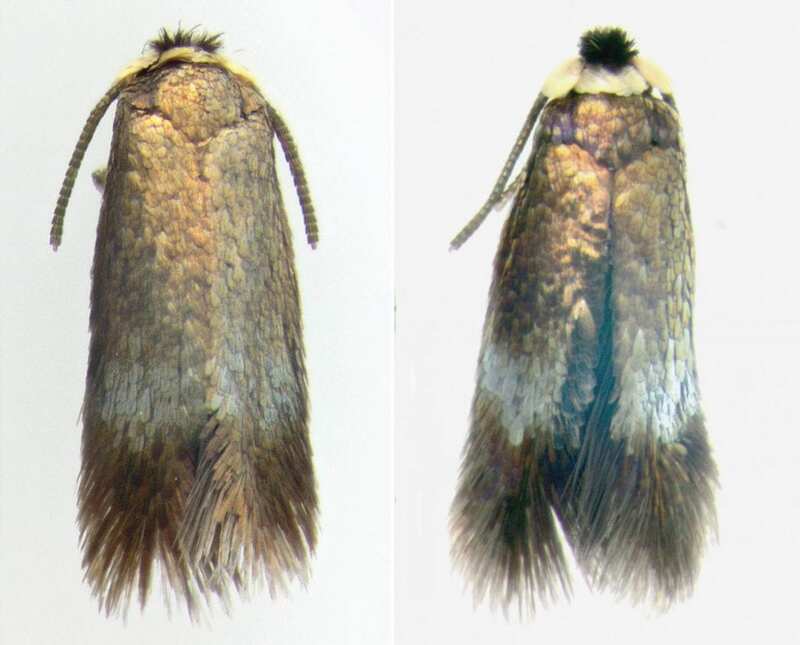 When handed to Erik van Nieukerken, researcher at Naturalis Biodiversity Center (Leiden, the Netherlands) and specialist in pygmy moths (family Nepticulidae), the scientist failed to identify it as a previously known species. Then, Erik found a striking similarity of the DNA barcodes with those of a larva he had recently collected on Siberian elm in Beijing's botanical garden. At the time, the Chinese specimen could not be identified either. In October 2015, Daniel Owen Gilrein, entomologist at Cornell Cooperative Extension of Suffolk County (New York, USA), received samples of green caterpillars seen to descend en masse from Siberian elm trees in Sagaponack, New York. He also received leafmines from the same trees. Once they joined forces, the researchers did not take long to find out that the specimens from James Vargo and the caterpillars from New York belonged to one and the same species. The only thing left was its name. Following further investigation, the scientists identified the moth as Stigmella multispicata – a pygmy moth described in 2014 from Primorye, Russia, by the Lithuanian specialists Agne Rociene and Jonas Stonis. "Apparently, this meant that we were dealing with a recent invasion from East Asia into North America," explains Erik. Once the researchers had figured out how to identify the leafminer, they were quick to spot its existence in plenty of collections and occurrence reports from websites, such as BugGuide and iNaturalist. With the help of Charley Eiseman, a naturalist from Massachusetts specializing in North American leafminers, the authors managed to conclude the moth's existence in ten US states and two Canadian provinces. In most cases, the species was found on or near Siberian elm – another species transferred from Asia to North America. Despite the oldest records dating from 2010, it turned out that the species had already been well established at the time. The authors suspect that the spread has been assisted by transport of plants across nurseries. "Even though Stigmella multispicata does not seem to be a real problem, it would be a good idea to follow its invasion over North America, and to monitor whether the species may also attack native elm species," the researchers point out. Interestingly, in addition to the newly identified moth, the Siberian elms in North America have been struggling with another, even more common, invasive leafminer from Asia: the weevil species Orchestes steppensis. The beetle had been previously misnamed as the European elm flea weevil.